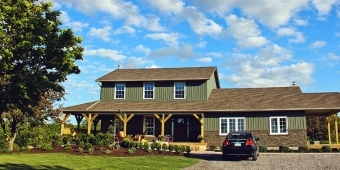 Haven Of Hope Farm B&B is located in the heart of Niagara. We provide accommodations for patients and their families who are receiving treatment for cancer or other medical conditions. We also provide a retreat for those who are seeking respite from the stresses. Check in time is between 3 p.m. and 8 p.m. Check out time is before 11:00 a.m.